Steve Abrahamson is Senior Director of Product Security at GE Healthcare, based in his hometown of Waukesha, Wisconsin. 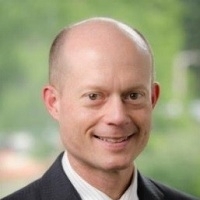 Steve has been responsible for the development and implementation of GE Healthcare’s Design Engineering Privacy and Security process, Vulnerability Management process, and digitized Product Security Governance and Data Management system. Steve has also been involved in promoting collaborative and systemic approaches with customers, regulators, and industry groups, and through frequent speaking engagements including the FDA Workshop on Collaborative Approaches for Healthcare Cyber Security, US Information Security and Privacy Advisory Board, National Academy of Sciences Innovation Forum, HHS/NIST HIPAA Security Conference, HIMSS, AAMI, Advamed, American Medical Device Summit, the SANS Healthcare Cyber Security Summit, and has served as a chairperson for the Medical Device Cybersecurity Risk Mitigation Conference. Prior to joining GE Steve worked at Texas Instruments in various technical management roles supporting precision-guided weapons programs within their Defense Electronics Group. Steve is a certified Six Sigma Black Belt and Master Black Belt, and has a Bachelor’s Degree in Mechanical Engineering from Marquette University and a MBA from the University of Dallas. Steve also represents GE as a member of GE’s corporate marathon team, and he has completed over 125 marathons.